Alex and Ani's bestselling Because I Love You range has been reimagined with larger, more deeply textured charms. The Because I Love You, Grandmother bangle recognizes the generosity, grace and pride in a grandmother's love for her grandchild. Associated with devotion and purity, the lily symbolises the powerful love that only a grandmother can give. The perfect gift to show your grandmother how much you appreciate all she has taught you. 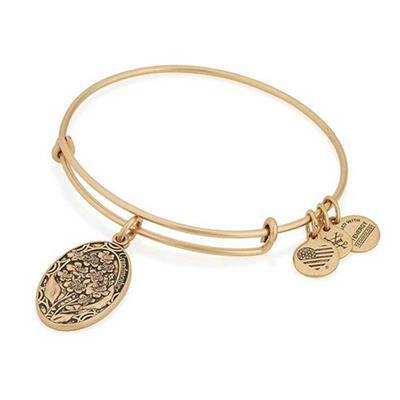 The charm sits on Alex and Ani's Expandable Wire Bangle and is also available in Rafaelian Silver and Rafaelian Gold. PACKAGING: This Alex and Ani bangle comes packaged in an organza pouch with its meaning card and care card. Please note that only bangles over the price of £30 will be packaged in an Alex and Ani box.